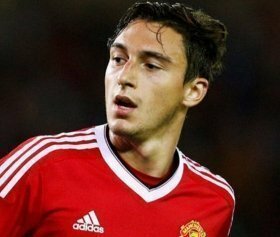 Manchester United trigger contract extension for Matteo Darmian? Manchester United have taken up the opportunity to trigger the 12-month extension clause available in the contract of defender Matteo Darmian. The Italian's previous deal was due to expire at the end of the season but the club have triggered a clause to prolong his stay until the summer of 2020. Still, the versatile full-back is expected to leave the club in the near future but Evening Standard suggests that any suitors would have to pay a transfer fee hereafter. United are hoping to recoup the entire £12.7m sum paid to Torino four years ago but reports indicate that they may have to accept a reduced sum with the limited interest in the Italy international. Juventus are currently leading the race to sign the former Torino man, who has made just five Premier League starts during the course of the current campaign. Aside from Darmian, Marcos Rojo and Antonio Valencia have also been linked with potential moves away from the Mancunian giants with a defensive reshuffle planned for the summer.